We have various accommodation options to suit different needs. There are double and twin rooms (also with ensuite facilities) and shared six and eight-bedded rooms. 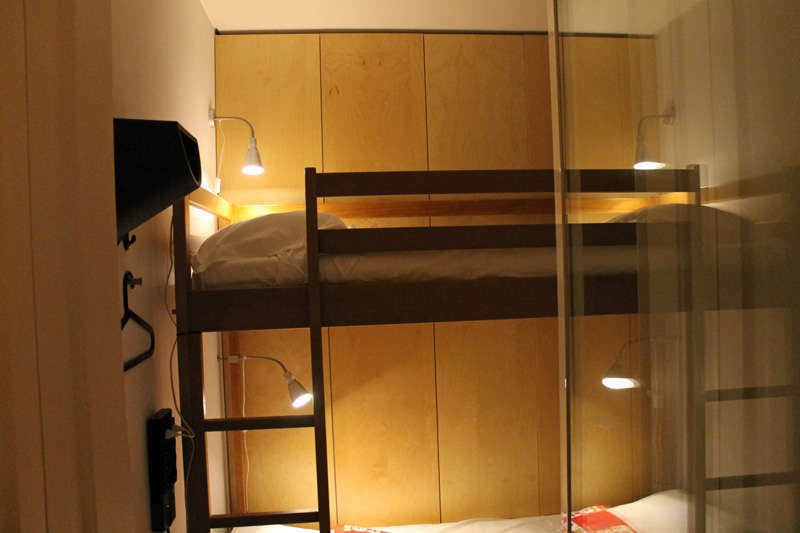 Your comfort is important: every bed is at least 200 cm long, every bed (shared room) has its own locker, its reading light, a power pod and USB charger. There are plenty of hooks and hangers and neat coffee beanbags for you to relax on the beautiful original wooden floors. You get keycard access to both the front door and your room, bed linen is provided free of charge, as is the extended hours breakfast and the wifi access throughout the building. We think of the environment too: every light bulb is an energy efficient LED and every drop of hot water comes from the solar panels. 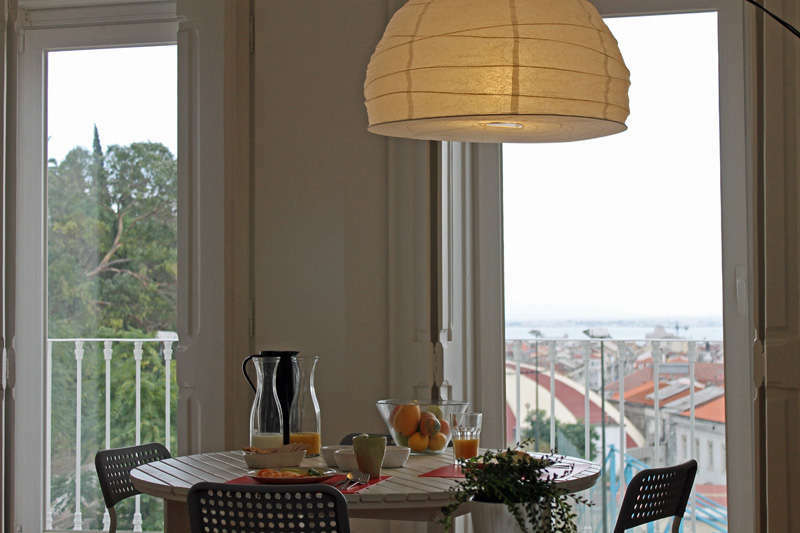 And all set in an ambiance that is quintessentially Lisbon. The staff is young multilingual, friendly, dedicated and knowledgeable, as you’ll be able to see for yourself. You can cancel your reservation up to 72 hours before arrival (12 pm, Lisbon time, 3 days before) without any charge or penalty. If you cancel or ammend within those 72 hours a cancellation fee equal to the full value of the first night booked will be charged. If you are a no-show (fail to email us informing that you are changing plans) the full amount of your booking shall be charged. Minimum age to stay in the dorms is 18 years old. There are no extra beds or cots available in the private rooms. Guests must produce a national ID or passport at checkin. Guests have 24 hours access with their individual key cards but checkin on the day of arrival must be done before 2300! 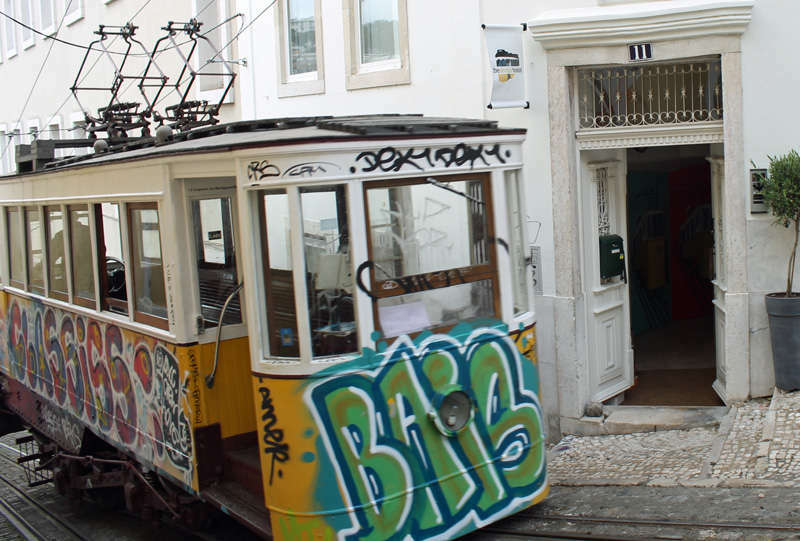 The hostel being next to the funicular tracks on a slope is inadequate for wheelchair users. Get in touch with our friendly front office should you have any queries regarding the above notes.